When Court Bauer announced that he was reviving his long-dormant Major League Wrestling promotion in mid-2017, some among the grappling world probably didn’t take it too seriously. A few of them might have even chuckled to themselves. After all, the company had long been in hiatus, after a short (but critically acclaimed) run over a decade before. 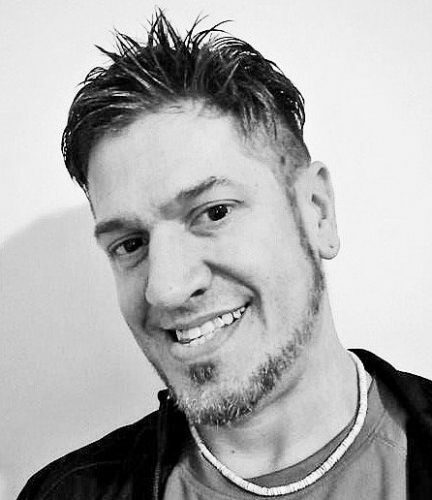 And Bauer, himself, had settled in to using the MLW name to launch a highly successful podcasting network, one that was not only innovative but profitable. Major League Wrestling originally staged events beginning in 2002, when fans were scrambling for alternatives in the ‘all-new, all-WWE’ era. The Monday Night Wars had ended, and companies like MLW, as well as Ring of Honor and TNA, had formed to fill the massive void left by the wreckage. At that time, MLW featured a collection of veteran stars, along with a lot of fresh-faced talent. Youngsters like CM Punk and Brian Danielson got some of their first real exposure with the federation. And, with legends like Terry Funk, Dusty Rhodes and Gary Hart all chipping in to help out the fledgling franchise, it showed lot of initial promise. Still, MLW ultimately folded up shop in 2004, and when the idea of a reboot was first made public two years ago, most fans were justifiably skeptical. A myriad of mid-level promotions, including Impact, Ring of Honor, and Billy Corgan’s new-look NWA, were already vying for that ‘leftover market’ of sports entertainment. And more independent promotions seemed to be popping up left and right, taking advantage of social media platforms and streaming technology to get the word out. So, what would MLW do to rise from the ashes, amidst all this fire and fury? What would this once-forgotten franchise do to recapture some of its former glory? 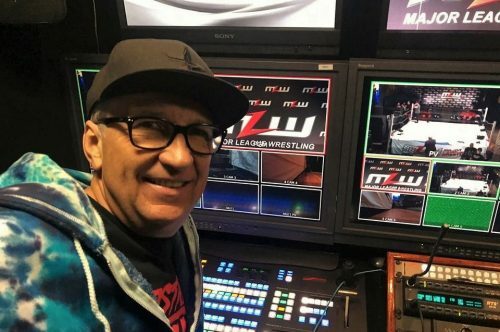 First, Bauer brought in an all-star production team, consisting of industry veterans like not only himself – but also former WWE writer Alex Greenfield and longtime World Class and WCW director Dan Bynum. He also lured back one of the most recognizable voices “in the history of our sport”, Tony Schiavone. Following the immediate buzz, Bauer also used the platform he created – his MLW Network – to promote the product. And, after a couple of successful pay-per-views, announced the launch of the company’s new flagship show, Fusion, on the beIN Sports Network. Once again, he stocked his roster with a mix of fresh faces and established names. 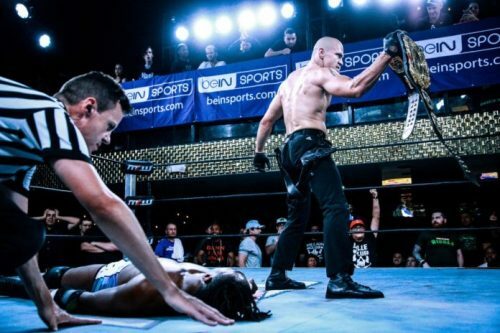 As such, the promotion has given new life to the careers of performers like Teddy Hart, LA Park, and former MLW World Champion Low-Ki. At the same time, it’s also given rise to such ‘next generation’ stars as Maxwell J. Friedman, Barrington Hughes, and Brian Pillman Jr. The mix of talent, along with Bauer’s vision, has produced winning results. And with them, a promise of a much brighter future for MLW this time around. Week in and week out, Fusion might be the fastest one-hour in all of professional wrestling. With its non-stop action, gritty promos, and episodic feel, it leaves the audience wanting more. One-part studio wrestling, with another part modern day fiction, Bauer and company have struck the perfect balance between old school hip-tosses and new school hurricanranas. As the weeks have now turned to months, the promotion will soon be celebrating the two-year anniversary of it’s re-birth. They continue to establish themselves with a new fanbase, and they’ve also recently added one of the all-time greats in Jim Cornette to their announce team. His pairing with the very underrated Rich Bocchini has – thus far – been a great mix of prose and passion. With the landscape of pro wrestling changing more than ever, there’s an emerging fire burning in the distance. You may not be able to see it yet – but just beyond the horizon? That’s the future of MLW. And, it’s a light that’s glowing brilliantly; For 2019 and beyond. Like a Phoenix from the ashes, it has risen… to burn brighter than before.